We are very pleased to announce that the Hyperlite Mountain Gear Ice Pack has found itself among some great products and companies in Climbing Magazine’s 2012 Gear Guide! Be sure to pick up a copy of Climbing Magazine if you don’t already have one. We’d like to send a huge thanks to the editors of Climbing Magazine and to their contributors for this distinct honor. Below is the cover and the Hyperlite Mountain Gear write-up. Enjoy! 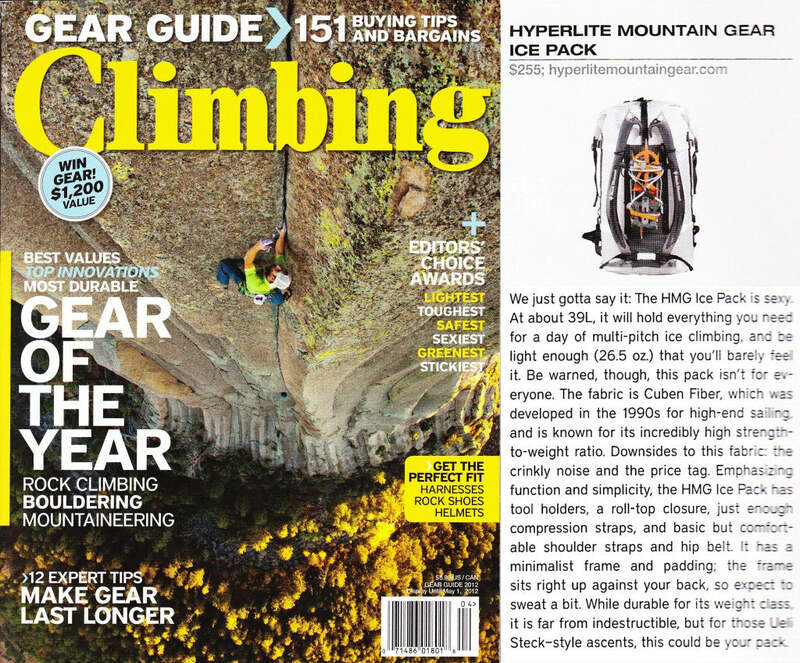 The post Ice Pack Makes Climbing Magazine’s 2012 Gear Guide appeared first on Hyperlite Mountain Gear Blog.